With the establishment of the Third Imperium, the strong economic forces that created it continued their work by driving an outward expansion by the Imperium into neighbouring worlds. 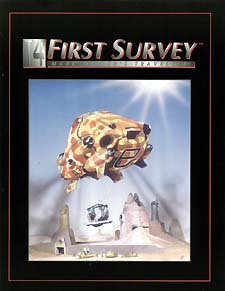 This survey book is intended to serve two distinct purposes: a reference work and as an adventuring log. Based on a territory roughly centered on the Sylean Federation in Core Sector, this Survey provides complete Traveller UWP information for nine sectors. This detailed UWP information is based on data originally created for the Traveller Atlas of the Imperium; it has been backdated to correspond to the Year 0 Milieu. The Short Data for each sector has been edited to show what information can be reasonably expected to appear in library data in the Year 0. That is, world size, atmosphere, and hydrographics do not vary over mere thousands of years, and the information that was current during the Rule Of Man era before the Long Night can be assumed to still be valid. On the other hand, starport type, world population, government, law level, and tech level world, after 1700 years of Long Night, have changed enough that they are not in any common data source.